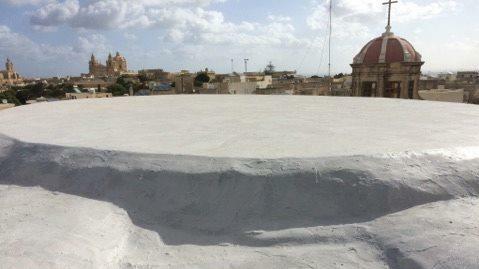 The Franciscan Fathers have ditched plans to build a dome in place of the roof which collapsed in August at the historic Church of Our Lady of Jesus (Ta' Ġieżu) in Rabat. The decision was taken after studies showed that the church’s pillars could not support a dome. Part of the ceiling over the main altar of the church collapsed in August, leaving a gap several metres wide. A temporary roof had been put in place. The Franciscan Fathers had hoped to eventually replace the ceiling with a dome as originally planned when the church was built. But initial studies, by Terracore, showed this would not be possible. 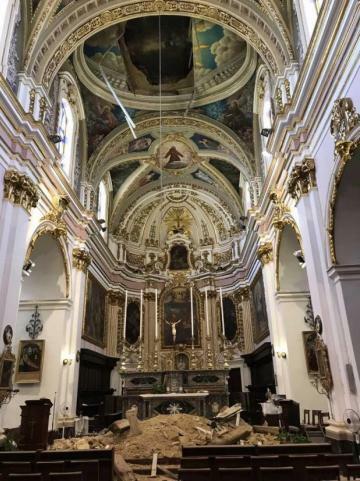 The Franciscan Fathers said scaffolding would be set up in the next days for the necessary preparations to permanently close the ceiling and instal a false one underneath. This would eventually be covered in artwork by Adonai Camilleri Cauchi to complement the roof and windows put in a few months ago. The Fraciscan Fathers thanked donors and said they would stop fund raising since donations had covered the costs of repairing the roof. If any funds were left over, they would be used for the church’s needs, they said.